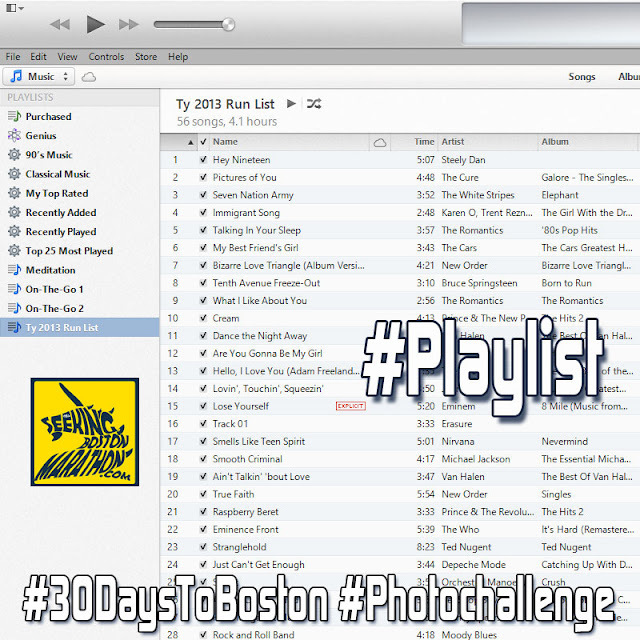 Today's #30DaysToBoston #Photochallenge word is #playlist. 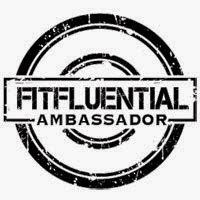 I posted the question on Facebook, what song rocks your run or are you most embarrassed about? Me? Eminem "Lose Yourself" is one of my favorite running songs. My most embarrassing is a Glee version of a Journey song. I'm not sure how that one got there. 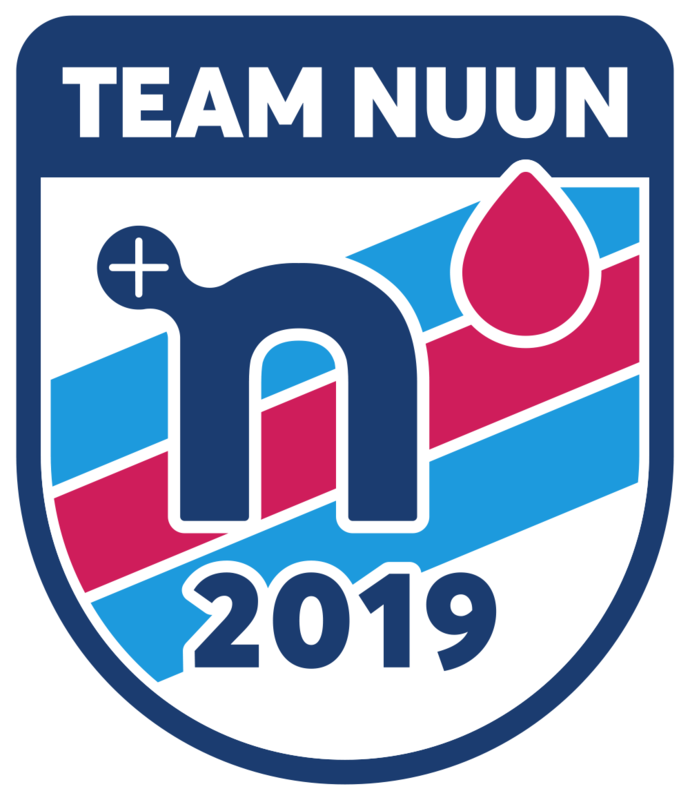 Tomorrow is my last long run before Boston. 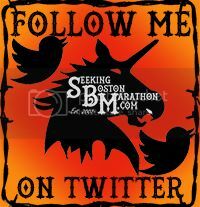 Not ironic that tomorrow's #photochallenge word is #longrun. 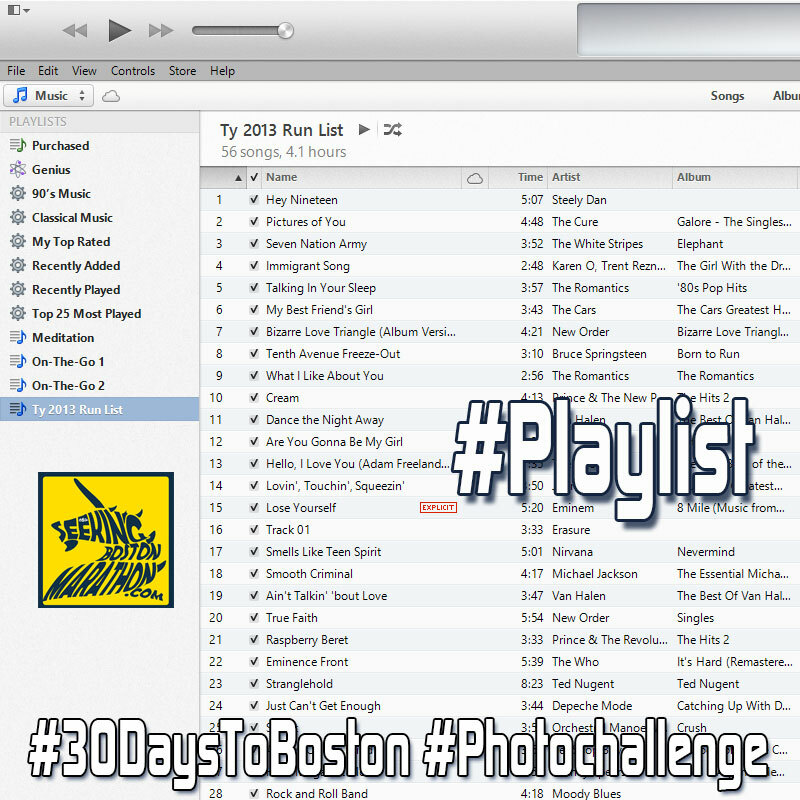 Post a picture of your last run before Boston with the hashtags; #30DaysToBoston, #Photochallenge, and #longrun. smooth criminal! yes! and there is no shame in the glee journey song. love it.